El Dorado International Airport is Colombia’s largest airport by a good measure; it sits outside the country’s capital city, Bogotá. 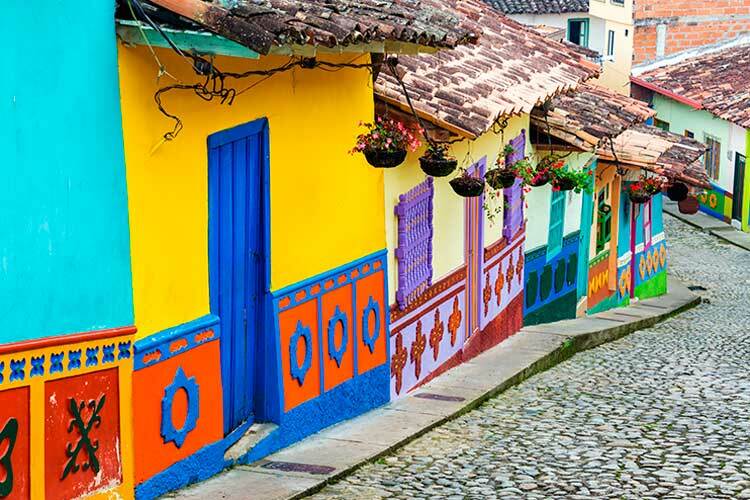 Colombia’s low cost of travel, near $40 per day, makes it an attractive South American destination. December through February is the peak tourist season in Colombia, due mostly to the gorgeous weather in the low to mid 20s (70-80˚F). Even during the off season, temperatures rarely drop below 10˚C (50˚F). Handmade jewelry and masks are some of the classic souvenirs purchased in Colombia. Found on the west cost in far northern South America, Colombia shares borders with Panama, Ecuador, Venezuela, Peru and Brazil. 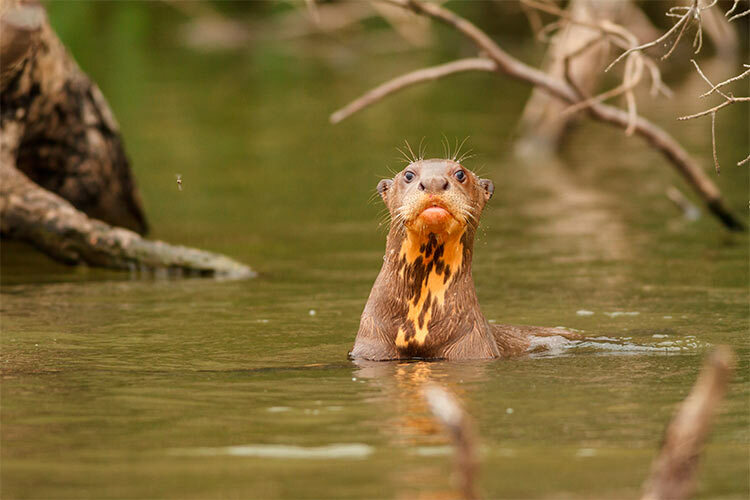 Colombia is considered a “megadiverse” country, meaning it contains plentiful endemic wildlife and a number of different biome. The country is generally divided into five regions. The Pacific and Caribbean lowlands are both coastal regions dominated by swamp and jungle, though the Caribbean region is far more important economically. The Andean region is more mountainous, as well as being home to most of Colombia’s population and economic activity. In the east sits the Orinoquía area, which occupies nearly three-fifths of the country. However, less than 2% of the population lives here, and the region is mostly open plains. Finally, the Amazon region is in the country’s south and makes up the northern section of the Amazon River Basin. Like most countries in South America, Colombia’s history can be broken into three segments: pre-Columbus, European colonialism, and independence. Because of Colombia’s location as the gateway to South America, it was one of the first areas inhabited by aboriginal peoples. These groups were mostly small hunter-gatherer tribes, though later some larger civilizations did arrive. The Muisca and Quimbaya were two of the larger indigenous groups to exist in Colombia. Of course, their existence changed considerably with the arrival of the Spanish in 1499. The Spaniards considered both Colombia and Panama a single territory, which they called New Granada. Within three decades of arrival, the Spanish had largely taken control of Colombia and began to found cities, including Bogota. The discovery of gold further incentivized Spanish involvement, especially when they began to hear stories of the mythical city of gold, El Dorado. Though they would never find this fictional city, its impact drew numerous Europeans to the area. However, Spain held firm control over the region until 1810. Though it would take nine years, Colombia eventually earned its independence, thanks largely to leadership of the legendary Simon Bolivar. He would also become Colombia’s first president. Though not politically stable, Colombia established South America’s first constitutional government, which was challenged by civil war throughout the 19th century. In 1903, Panama left Colombia due to American influence and achieved some stability. However, the latter half of the 20th century saw increased political and economic strife, often punctuated by violent attacks. Colombia also became a haven for drug dealers. Though these problems have yet to be totally ironed out, they seemed to have peaked during the 1990s, and 21st century Colombia has seen an unprecedented decrease in rebellious behavior and violence. 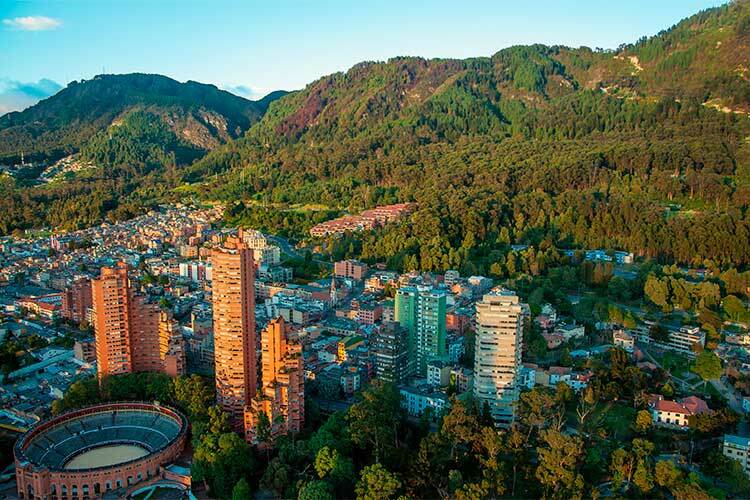 Nearly all international travelers will travel through Bogotá, Colombia’s enormous capital city. Like any megapolis, Bogotá has been broken down into a number of sections. La Candelaria is the historic city centre and holds most of the city’s famous historical sights, especially near La Plaza de Bolívar. In addition to the numerous colonial era homes and churches, La Candelaria is also the seat of the Colombian government. Bogotá features a number of other fascinating districts, including Chapinero. If La Cadelaria is the place to experience Bogotá’s heritage, Chapinero is where modern Bogotán culture lives. This area contains hundreds of boutique shops, delectable restaurants and fascinating artistic outlets. La Macarena is also a popular artsy district to visit while in Bogotá. Additionally, travelers will enjoy El Salitre. This area is best known for its numerous sports complexes, but it also contains the city’s largest public park, as well as a number of museums. Cartagena is one of the more popular tourist destinations in the Colombian travel circuit. This city was the first Spanish colony on mainland South America, and even today the city puts off a charming colonial atmosphere. 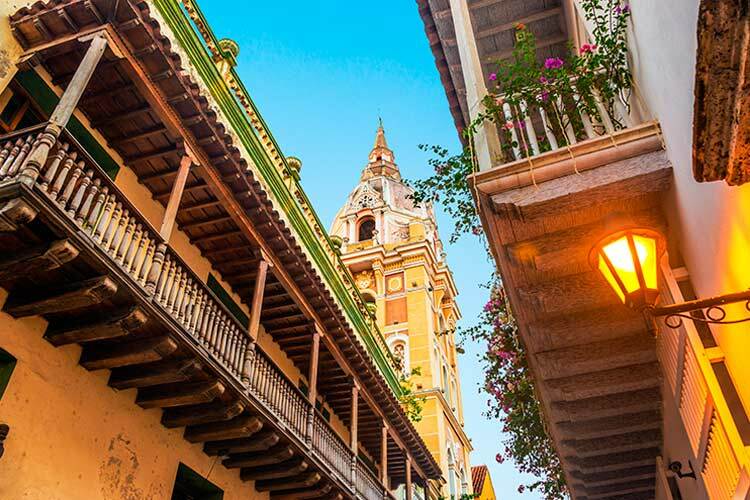 Cartagena’s old city, which is surrounded by a city wall, contains most of the colonial era structures, and we recommend travelers simply spend time wandering around the old city. The neighbourhood of Getsemaní is the oldest part of the walled city and makes for an extremely pleasant walk. Furthermore, Cartagena is known for its well-preserved forts. Castillo de San Felipe, which was founded in 1657, is one of the most popular to visit. 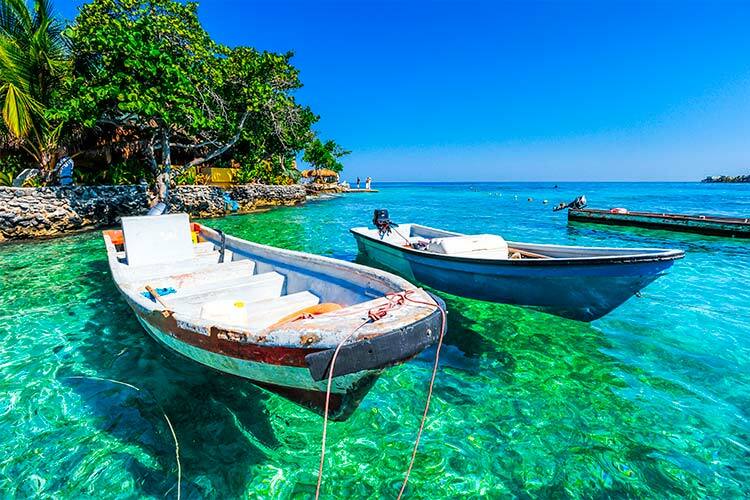 Additionally, travelers ought to visit one of Cartagena’s white powdery beaches, many of which are accentuated by gorgeous coral reefs. Playa Blanca is probably the most popular beach in Cartagena, and is protected as a park. This means Playa Blanca is much better preserved and less polluted than the beaches near the city itself. 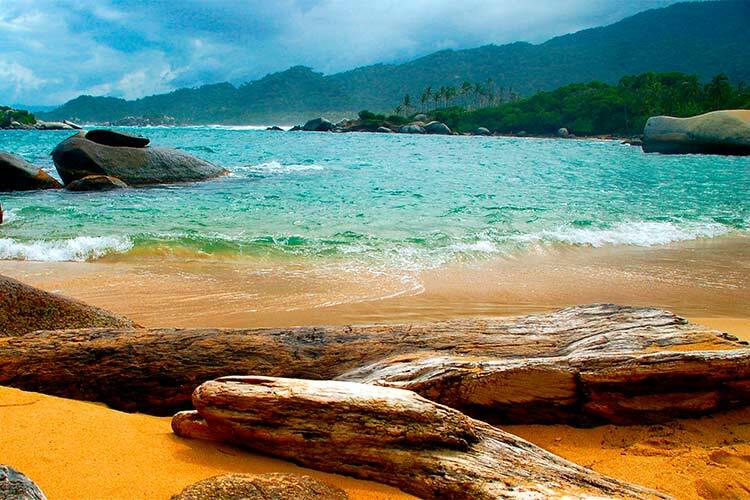 Several natural parks bless Colombia with their presence, but the Tayrona National Park is likely one of the best. This stunning natural peak features everything from snowy mountains to tropical rainforest to beaches, and contains a huge variety of plants and animals. La Piscina is a natural coral reef which forms a fantastic swimming area, nearby the settlement of Arrecifes. Furthermore, there are a number of native villages tucked away in Tayrona’s mountains. Some travelers opt to take mules or donkeys through the mountains to reach these remote villages for a once-in-a-lifetime trip. In addition, Tayrona also contains a handful of interesting archaeological sites, including El Pueblito. Note that some countries, including the United States, have issued travel warnings concerning rebel activity in a few of Colombia’s smaller towns. By and large, travelers need not worry, but it would be best to do some research prior to planning a Colombian expedition, especially if you’re not sticking with the standard tourist destinations. 1) While in Bogotá, spend some time in La Candelaria, the city’s historic district. Wander between the colonial era buildings, and marvel at the seat of Colombia’s national government. Bogotá also contains many of the country’s best restaurants and nightlife destinations, especially in the Chapinero district. Also, be sure to visit the stunning Gold Museum, dedicated to Colombia’s indigenous people’s handiwork in gold. 2) In Santiago de Cali, check out the fascinating pre-Columbian archaeological museum called Museo Arquelogico La Merced. The city’s zoo, Zoologico de Cali, is also one of the city’s better known attractions. The city is also famous for its fine examples of colonial era architecture, which is largely centred around the Barrio de San Antonio. 3) Medellín and the surrounding area have a number of popular tourist destinations, including the lovely park Parque Berrio. Across the street from the park sits the Plaza Botero, which contains 23 massive statues. It also features the fascinating Museo de Antioquia. Another impressive site is Parque Explora, which features both a botanical garden and Latin America’s largest freshwater aquarium. 4) Spend time relaxing on the beach in Santa Marta, then explore the lovely La Quinta de San Pedro de Alejadrino. Not only is this gorgeous facility filled with fascinating cultural gems and a huge garden, it was also the death place of Simon Bolivar. Near Santa Marta is Taganga (pictured below), a small fishing village that’s very popular with backpackers. This area is great for diversity and provides fantastic snorkeling. 5) Wandering through Cartagena’s walled city makes for a fascinating afternoon, especially when exploring the Getsemaní neighbourhood. For more history, head to one of Cartagena’s numerous limestone forts, including the Castillo de San Felipe. Of course, the town primarily draws travelers because of its beaches, of which Playa Blanca is the most popular. 6) Off the coast of Cartagena sits the Rosario Islands. This archipelago is best known for its coral reefs, which are considered some of the most beautiful and important in the country. 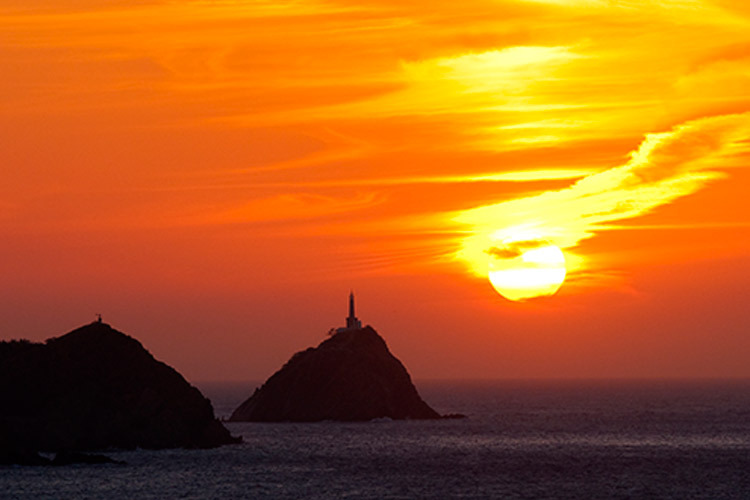 Much of the islands are protected by a national park, but there is also a large aquarium. Fishing is also a popular activity on the Rosario Islands. 7) Tayrona National Park’s main beachfront is La Piscina, and it’s here that travellers can relax with other guests. This area also contains colourful coral reefs and sits near the village, Arrecifes. However, the park’s more remote sites are also worth exploring. Check out El Pueblito to see a fascinating archaeological dig, or trek through the mountains to reach the tribal villages.